I'm the rather slight fellow you see dangling in the cave, center stage on the cover of THE GODDESS & THE DEVIL, a most unique and provocative multi~genre creation. It's a ton of real, thoroughly researched history called upon by our fictitious players arguing about good & evil (&c., &c., ...) who happened to find themselves in one Hell of a bind one night in Salem, 1692. 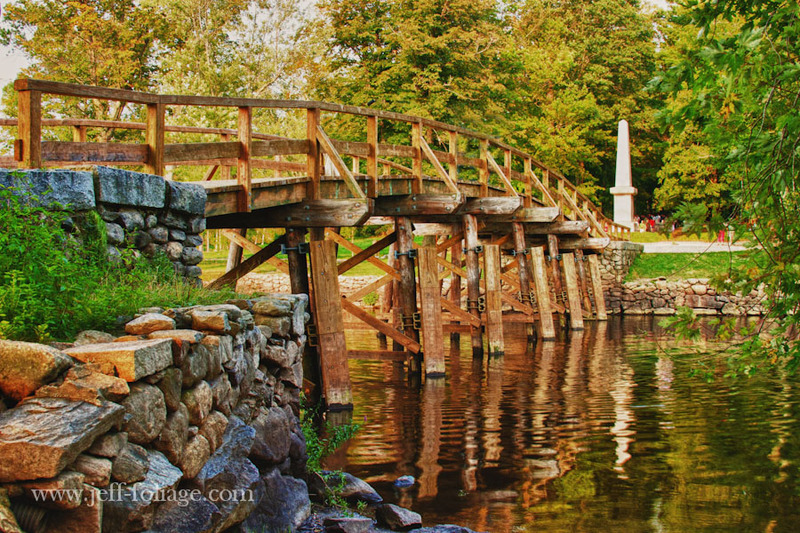 Posted on October 14, 2012, in Autumn in New England, Knotty Pics & Vids and tagged Autumn, Concord, Concord Bridge, Concord MA, Foliage, North Bridge. Bookmark the permalink. 2 Comments. Yes it is. It is actually the site of the famed “Shot heard ’round the world” that began the American Revolution. I’m very much against violence & war, but it is a very peaceful scene now. Looking Good There, Young Fella!